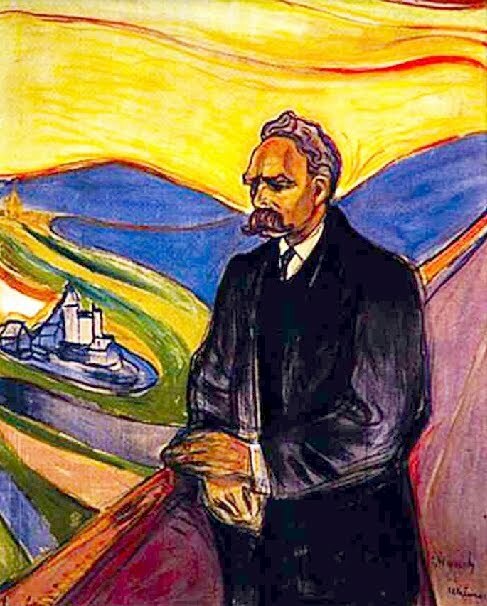 In Twilight of the Idols, Nietzsche argues that “the value of life cannot be estimated” by a living human being, because anyone who puts life on trial will be incapable of taking up an objective standpoint: “he is a party to the dispute, indeed its object, and not the judge of it” (p. 40). Any value judgment of the sort life is worth living or life is not worth living is “no more than the symptom of a certain kind of life” (p. 55). In other words, a judgment against life is merely a noncognitive expression of one’s dissatisfaction with life. But then he makes an interesting claim: “One would have to be situated outside life, and on the other hand to know it as thoroughly as any, as many, as all who have experienced it, to be permitted to touch on the problem of the value of life at all” (p. 55). Only someone who had both lived a subjectively full human life and had experienced life from an objective standpoint outside the human world could know if life was worth living. Nietzsche thinks no one can do this, because he thinks there is no other world outside our own. But anyone who believes in a transcendent God situated “outside” human life can see what it would take to affirm the value of life. That transcendent God would have to become incarnate as a human being and affirm that human life is worth living. In other words — even according to Nietzsche — the uniquely Christian doctrine of an Incarnation is the only thing that can make life value true.